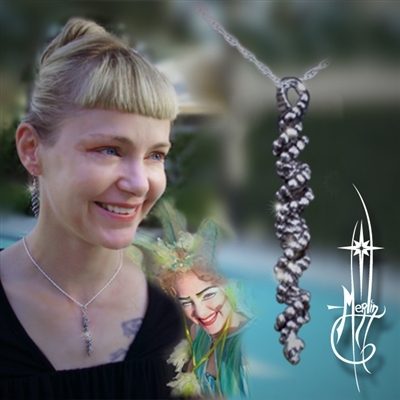 Amulets by Merlin has created a line of jewelry harnessing the double helix motif. are made of silver (or gold if you prefer). allowing it to flow over supply over your wrist. needed to assemble other components of cells. or perhaps messages in small and compact places. we developed a DNA ring. to extend the ring into a full line of jewelry. A new ring design for public release is forth-coming. as if conjuring the images with her voice. and the miracle of Mystère manifests fresh as an opening night. and other folks who work with the tiny encoders.